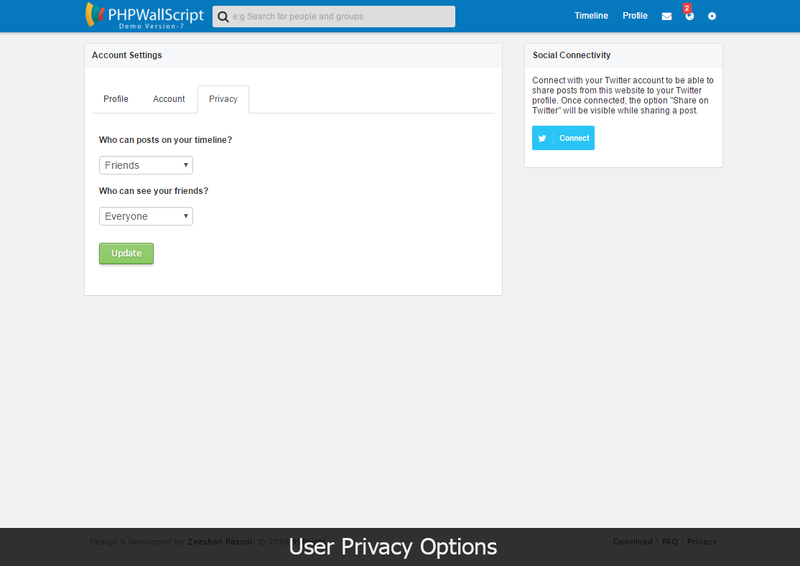 What is PHP Wall Script? If you are looking to launch your own social networking website then you are few minutes away to complete your dream. 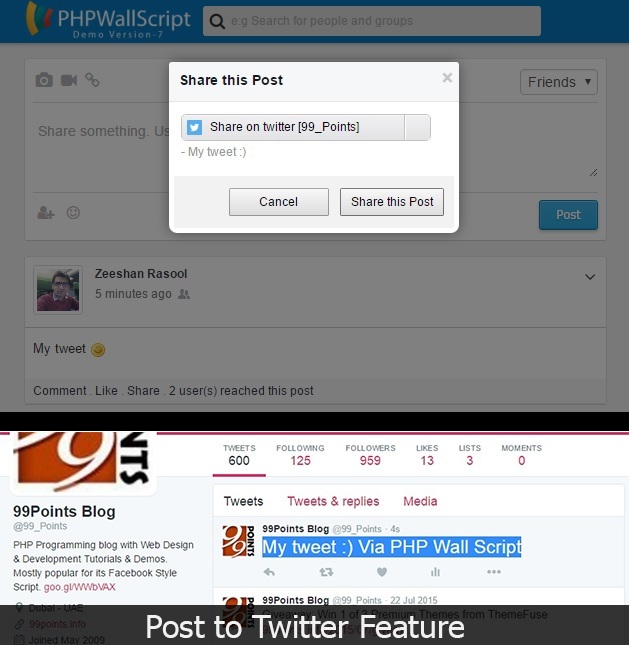 Easy integration If you want to enhance your existing website by adding some cool features. 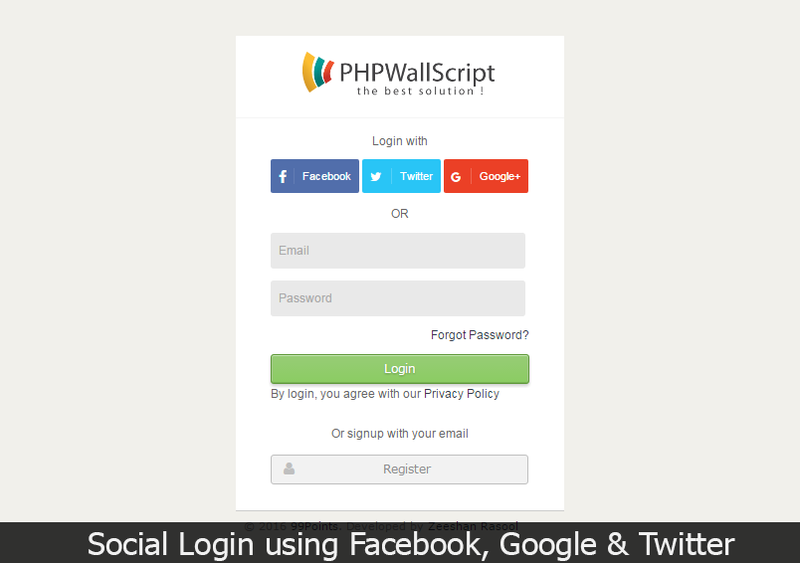 PHP Wall Script v7 By Zeeshan Rasool from Zeeshan Rasool on Vimeo. 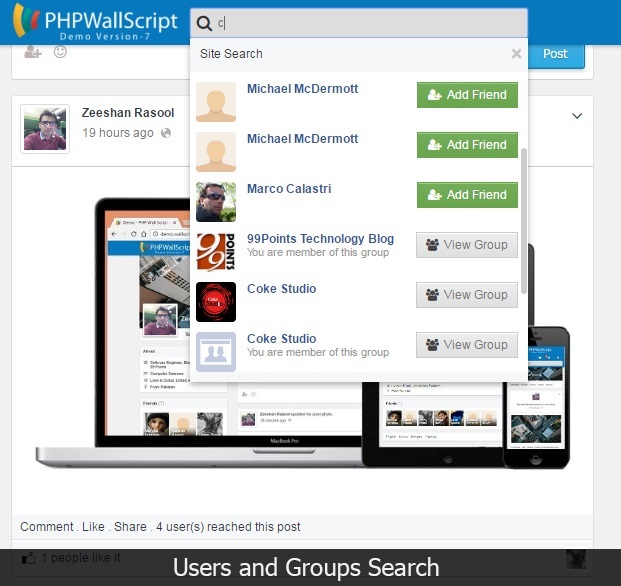 This is a multi-purpose PHP based social networking application which is developed carefully by keeping in mind the different types of user requirements. The application is easy to understand, clean coded, secure, fully functional and incorporated with amazing social features inspired by facebook. Want to lauch your own social network website? 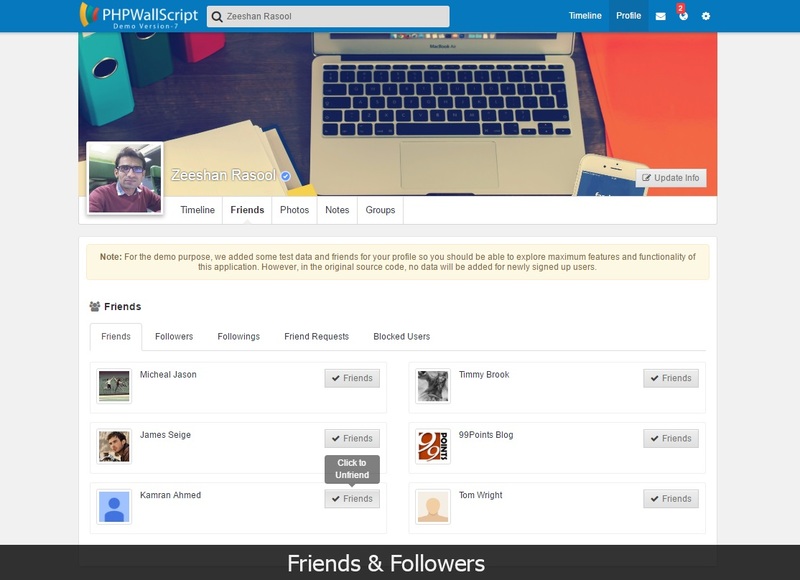 Having large number of amazing features which you will never find in any other social networking application, this script is perfect to launch your own social networking website. With very few easy installation steps, you can have your website ready in few minutes. Want to enhance your existing website? 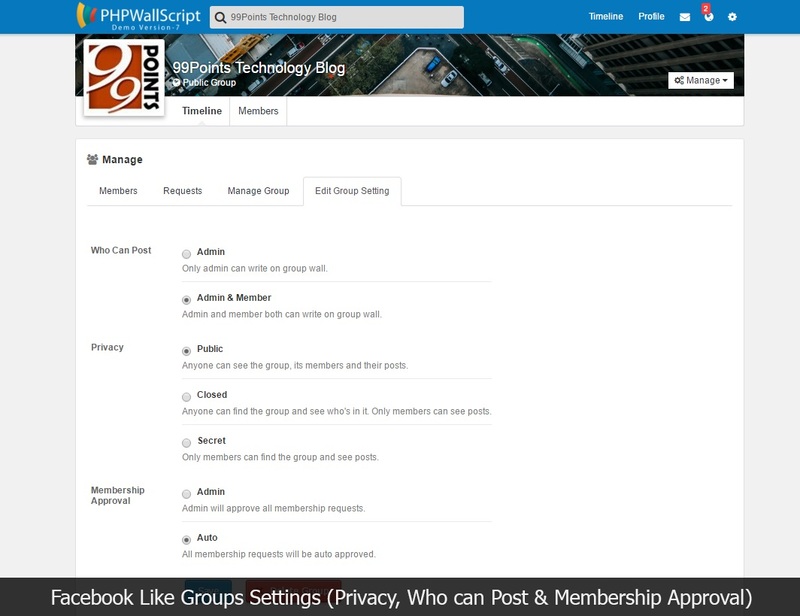 If you have an existing website (built with PHP), you can copy and add modules like groups, messages, newsfeed, comments and other facebook like features without spending great amount of time and saving lot of money as well. 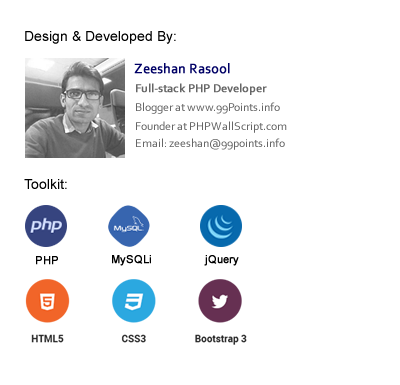 99Point is my blog where I have been sharing social network scripts since 2010 and developed many free apps for my readers to download and use. After thousands of free downloads and receiving lot of appreciation from my blog readers, In 2013, I started working on a commercial version of the wall script. The current release 7 is part of that series. Following are some major features you will find in this release. See all features here. Twitter bootstrap 3 is used for front end which is the best front end framework for responsive layouts. The application has newsfeed like FB where you see posts, photos, videos and other sharings from your friends. 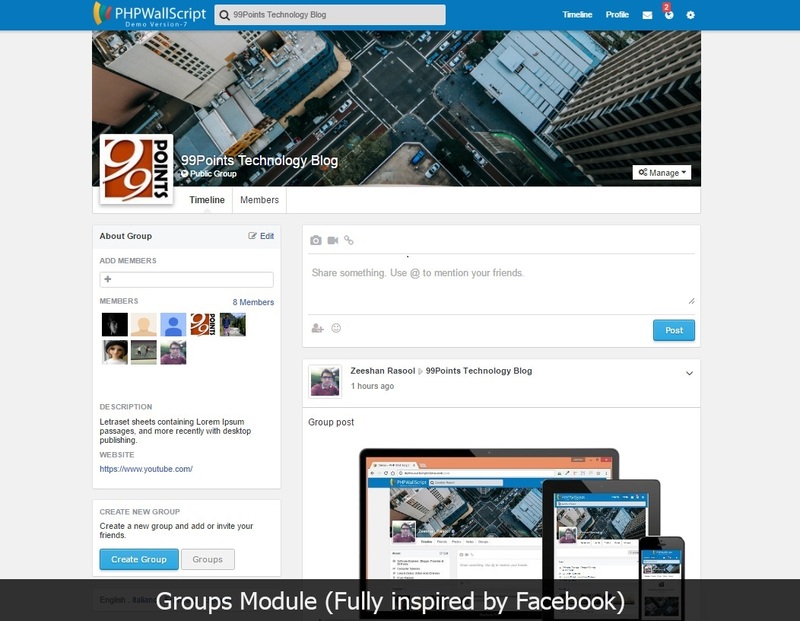 The group module allows you to create groups and invite people. 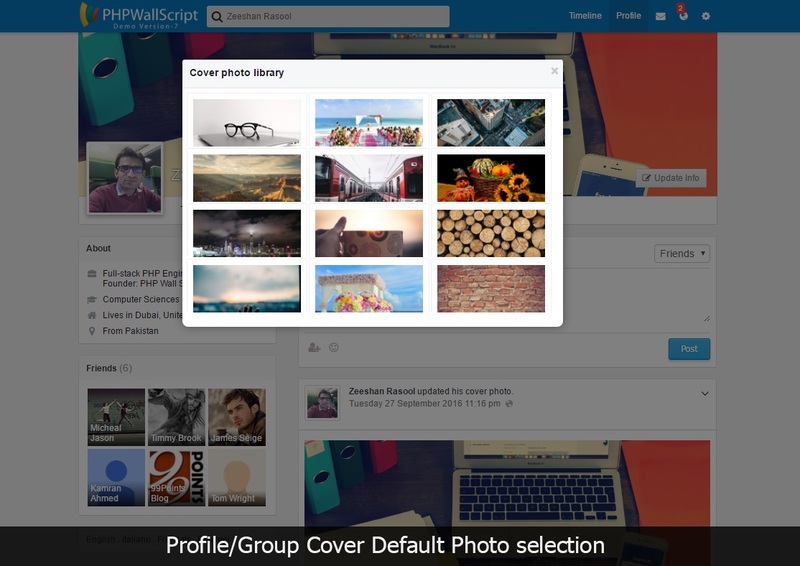 Users can also join your groups. 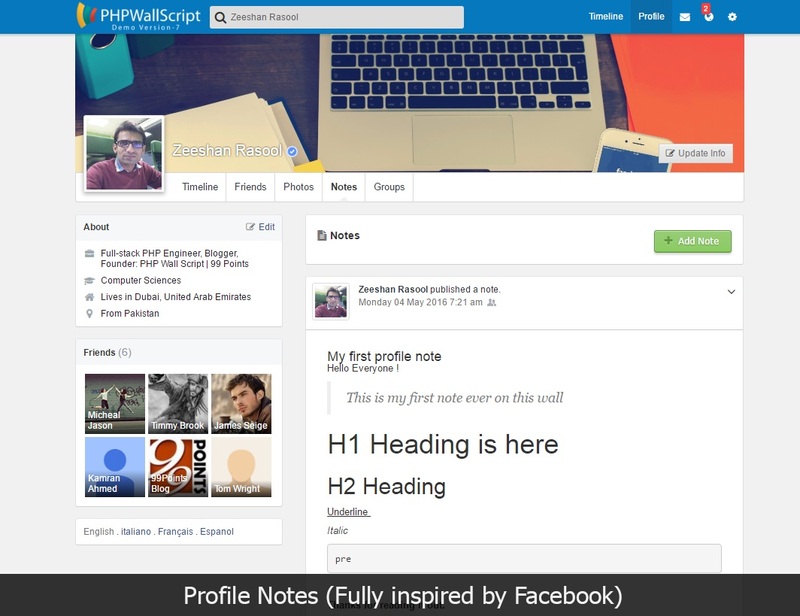 FB style profile notes module where users can create notes and share with friends. 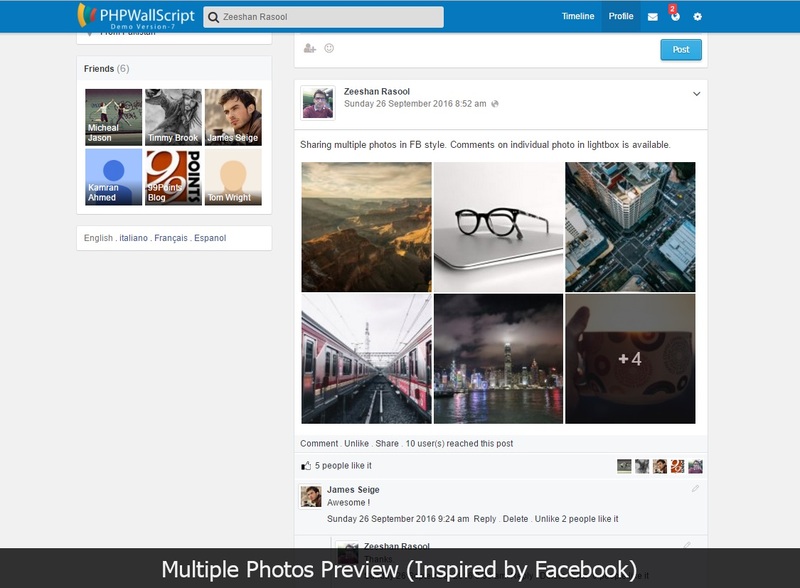 Comments reply feature, Images for comments and pagination for comments available. A perfect message system which allows users to send messages to their friends and followers. 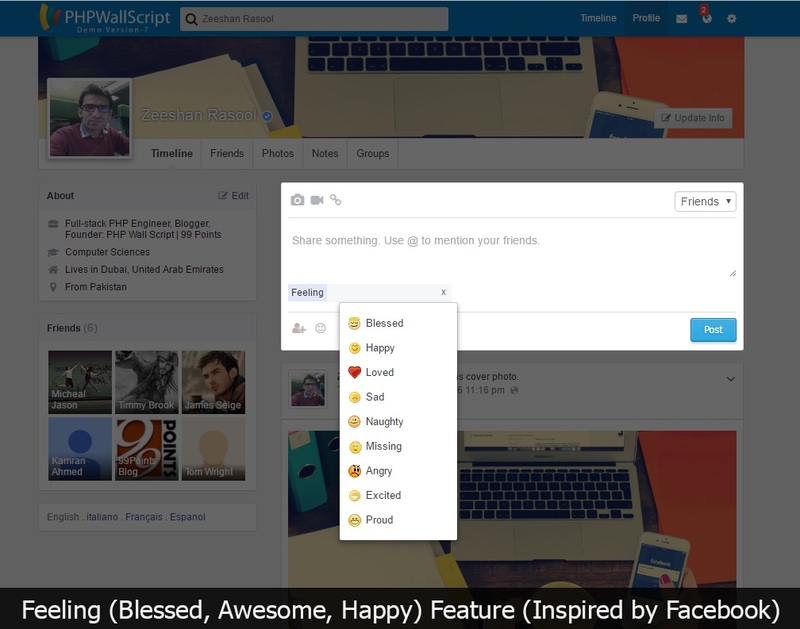 Inspired by Facebook, the current version 7 has many new features such as Feeling and tagging friends in the post. Please read Terms and FAQ page carefully before purchase.